Service was perfect! They seemed to know what we were thinking and had already prepared it for us! They made us up a bag lunch since we couldn't eat breakfast and had it ready at 5:40 am when we left. They followed through on our requests (extra pillows, bus tickets, more coffee, etc) and communicated among their staff to get everything done smoothly. They knew our names, room and plans - wonderful. The daily fruit basket was nice too. Other - breakfast was decent, room was quiet and spacious, near the river tours, restaurants, cinema, etc. Overall I would definitely stay again. Only thing disappointing was the gym - I like to stay fit during my travels but it was lacking with old equipment, no AC, poor lighting - needs a redo. 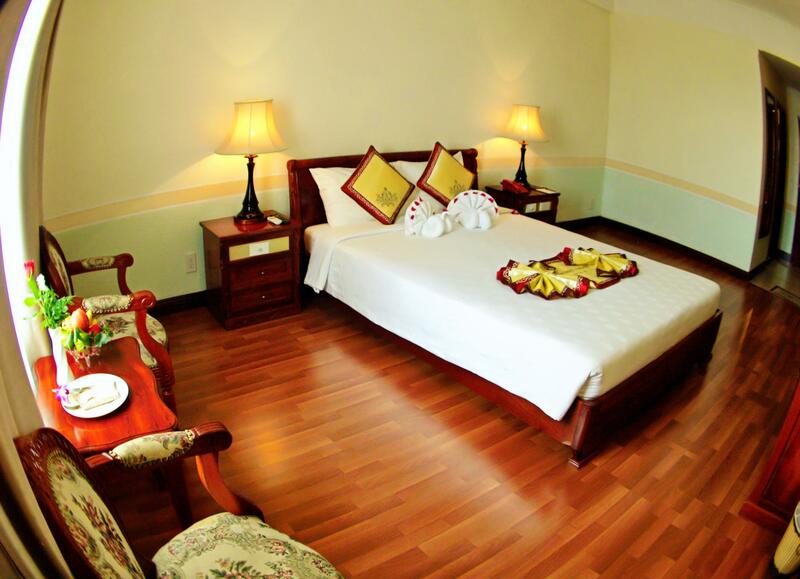 I am a returning guest as had stayed at Ninh Kieu hotel many times. Would recommend this hotel to anyone visiting Can Tho as hotel is located at City Central with easy access within walking distance and big Shopping mall across the street from hotel. if you are in can tho for business, this is the place to stay. it is located in the center of the city. lobby is wide & restaurant is big. with option to go for a massage on its 2nd floor. with parking space. staff is friendly. all bathroom stuff - toothbrush, shampoo, bath soap, comb - complete. The VIP room is spacious and confortable. Staffs are friendly. Great location! Apart from that it is a nice comfortable and well located hotel, the daily breakfast is a disappointment. Same fare throughout my 4N stay. Little variety. You can skip the roof top bar totally. It is a dead place. No customers, no music, hot, and boring. Overall a good hotel for a quiet stay. It is more a 3 star. Had stayed at Ninh Kieu hotel before and am happy to return due to the location/friendly staff and clean room. Stay was pleasant even though it is just for 1 night. Will gladly recommend this hotel to friends planning trip to Can Tho. Fabulous location, can walk to most places of interest from here. Staff fabulous and very helpful. Breakfast for vegetarians somewhat lacking, as seems common in Vietnam. If this hotel had a pool on it's rooftop it would have been perfect. the location of the ninh kieu 2 hotel in central can tho is very good, it is very close to shops and it is a reasonable place to stay, in a city with not many good mid-range options. the room was ok and should change to lcd tive as 4 stars level, clean and had the things i prefer: hair dryer, tea kettle, refridge, decent lighting.the breakfast buffet is good and the hotel staff were very helpful, with good english. It's great location where i can go to supermarket, book store, post office,...very easy. But the room is not very comfortable with the insert door card for electricity start up. When we went out, we took the door card, the power swtiched off including in the fridge where we store food, so the food was spoiled!!! 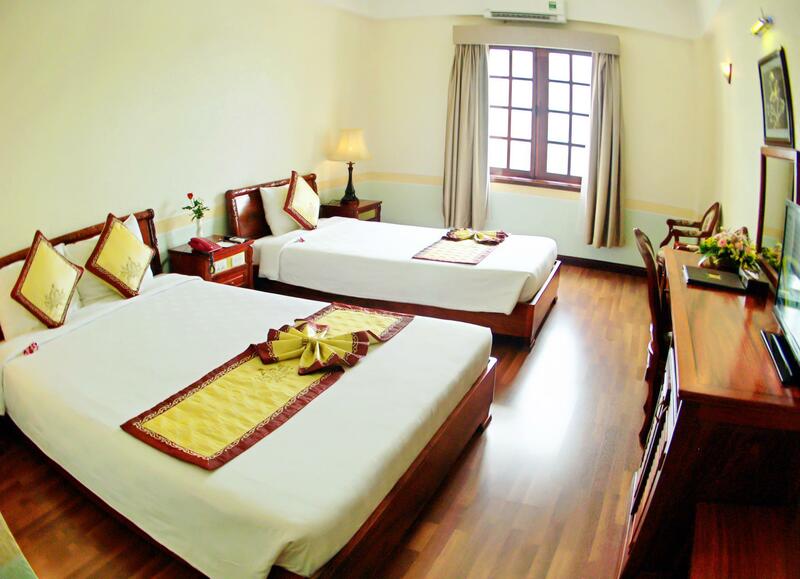 The location of the Ninh Kieu 2 hotel in central Can Tho is very good, and it is a reasonable place to stay, in a city with not many good mid-range options. The room was nice, pleasant, and clean and had the things I prefer: hair dryer, tea kettle, refridge, decent lighting. The in-room wifi didn't work so well - but the problem is usual in Can Tho, not the fault of the hotel. The bathroom floor also - typically - got wet when taking a shower. But - the breakfast buffet is good and the hotel staff were very helpful, with good English. I have stayed there before, when it first opened, and would do so again. stayed on the 3rd floor, the room was of an international standard; large and well presented. very quiet at all times, and included a room safe and modern bathroom. there was a massage area near the lift, but it was innocuous. the reception staff generally had good english skills, and were quite helpful. more expensive than other hotels, but given its standard, was good value. The hotel is supposed to have four stars, but in fact it is more a three or maximum three and a half star hotel. Nevertheless, the location is very good and the staff professional and friendly . It's just a five minutes walk to the river and nereby there is a big supermarket. The breakfast is very good, on the third floor you can get a massage for 150.000 or 300.000 (last one is for V.I.P. ), but as a male traveller, you are for sure asked if you wanna have extra services. Overall, it's a good choice for an night or two. Our family liked the two rooms we reserved at this hotel. The hotel had a European feel, overly large rooms with wonderful views of downtown. We were within a short walk to access a boat to view the market on the Mekong Delta. Great breakfast. Wished we would have booked more time to stay.